Florida. The festival attracts approximately 45,000 visitors to view the works of over 252 spaces for fine artists and fine craft artisans from all over the country. Offering live entertainment, a student art competition, children’s activities, fine dining in many local restaurants and cafes, the Halifax Art Festival is a premier annual event in Central Florida and benefits the Museum of Arts & Sciences. 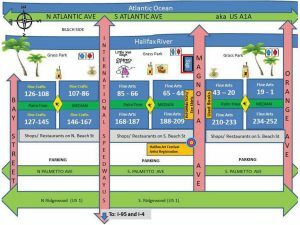 DIRECTIONS: The City of Daytona Beach has recently announced plans for the redevelopment of Beach Street and Riverfront Park. These plans may require us to modify the Festival Map layout for 2019. 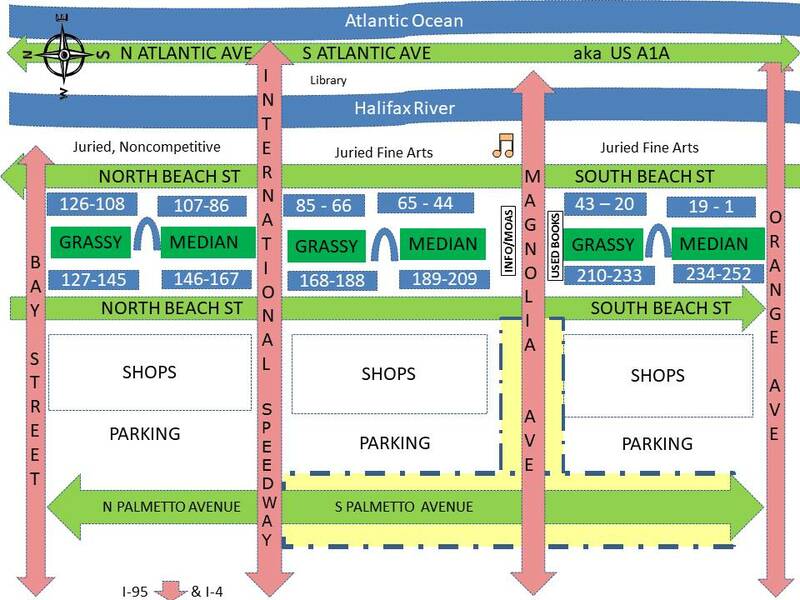 As the city’s plans become available, we will post updates on the Halifax Art Festival website. 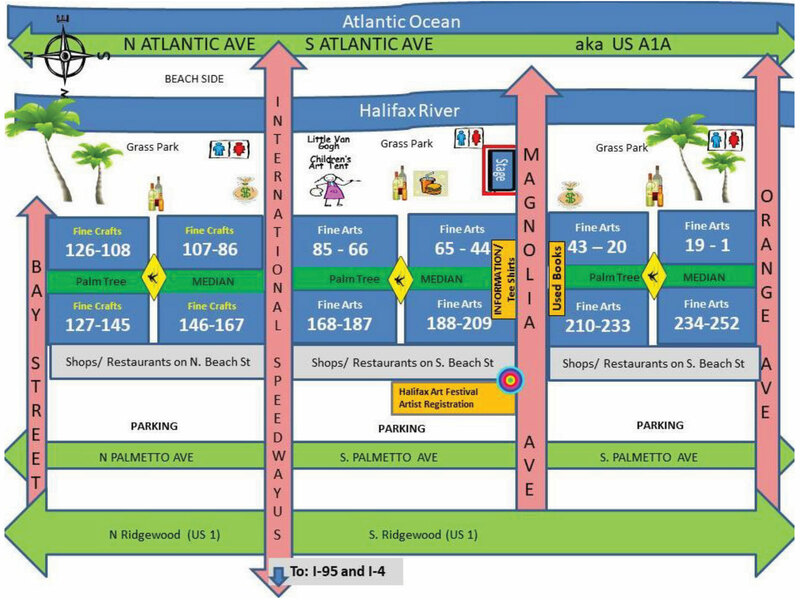 The festival is located on Beach Street, between Orange Avenue and Bay Street, in downtown Daytona Beach. From I-95, exit SR 92 International Speedway; head east until you see a large bridge. Do not go over. This is where the festival is located – west side of Halifax River. If you Map Quest, plug in International Speedway Blvd. and Beach Street, Daytona Beach, FL. PARKING: free and you may drive up to your space to unload, although no overnight parking is allowed in the area; you will receive a list of dis­counted hotels/campgrounds with your acceptance package. SECURITY: Festival security is available during our festival including Friday and Saturday nights.